Introducing the intelligent telephony solution for small business! 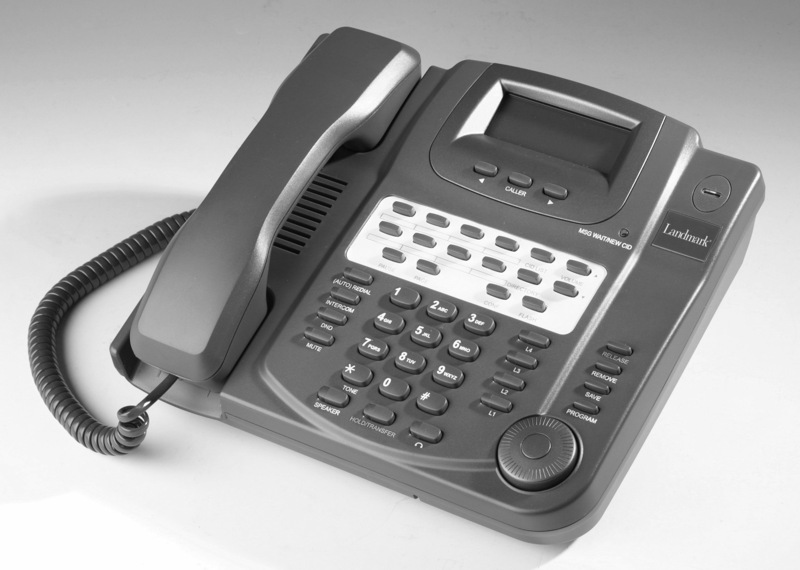 The NSQ412 Landmark phone boasts a long list of features usually found only on expensive business telephone systems. Things like caller ID with a 200 number log, a 200 name & number directory (150 private / 50 public), wireless headset capability, a great 2-way speakerphone, one station / all station page, and much more. The NSQ412-LM can accommodate up to 4 lines and is expandable up to 12 stations, so it's geared to meet the needs of today's busy and demanding small businesses. Headset jack - works with the Plantronics CS540 Headset* for hands-free calling. * Note: The CS540 works with the NSQ412 Landmark 4-line phone system phones. It requires the Plantronics HL-10 Headset Lifter. In this configuration, you can not utilize the headset button on the phone. Also, functionality of some features (i.e Caller ID) assumes availability and customer subscription to service provider offerings.